A vibrant new enterprise resource in the heart of Whitechapel has opened with a launch event bringing together local entrepreneurs of new and growing businesses. A collaborative venture between Tower Hamlets, Greater London Authority, Whitechapel Vision, and London Small Business Centre, Whitechapel Enterprise Hub is in the perfect location for ambitious start-up and small businesses alike. Offering a stimulating coworking space, studio spaces and creative meeting room spaces, with access to like-minded entrepreneurs, Whitechapel Enterprise Hub has been specifically designed to serve and meet the needs of the local business community, while supporting and inspiring budding entrepreneurs to achieve their dream of starting or growing a business. 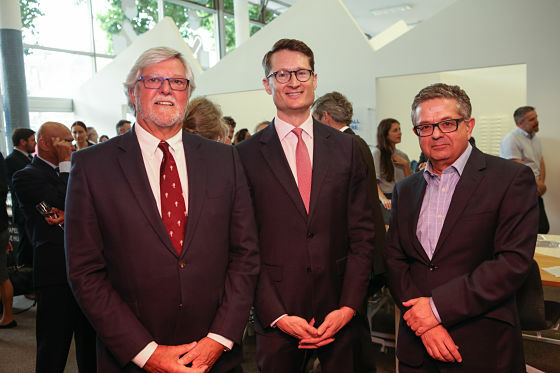 The launch event, held on Thursday 20 July, welcomed Councillor Joshua Peck and Mayor John Biggs from London Borough of Tower Hamlets, as well as almost 100 guests who were keen to see what the new centre could offer. Joined by London Small Business Centre clients Pride of Asia, Foldability and Kafe 1788, the event showcased the importance that small businesses have on the local economy. “As a Council we are really passionate about creating an environment in which our residents can start their own businesses, and take full advantage of the great opportunities that exist locally for economic growth and job creation. Laurie Wiseman, CEO London Small Business Centre, part of the Nwes Group, endorsed Councillor Peck’s words. Established in 1982, the Nwes Group is now England’s largest not-for-profit enterprise agency, providing business support and advice, workshops, access to finance, and workspace throughout the East of England, London and the East Midlands. The new and growing businesses that use Whitechapel Enterprise Hub will also have easy access to professional business support and advice through the Nwes Group network, offering a further platform for success. As a new one-stop-shop for business support, Whitechapel Enterprise Hub is located just a short walk from the new Whitechapel station and, with the imminent completion of Crossrail, the hub is perfectly placed with the city and Canary Wharf just minutes away. Visit our workspace pages to find out more about Whitechapel Enterprise Hub.